Things over at Fox right now are very strange. At least in terms of their X-Men movies. The studio now has two movies filmed and under wraps, X-Men: New Mutants and X-Men Dark Phoenix. Sounds perfect, right? It sounds like the studio has more confidence in its X-Men properties than ever, with two movies in one year (not to mention Deadpool 2, which is connected to the X-Men films, all being released within months of each other.) Only the truth, of what’s been going on behind the scenes, is much darker than it would appear. In fact, just recently, Fox decided to pull both X-Men movies from the slate of the year 2018, despite them both being filmed and edited, and more or less ready to go. There have even been trailers released for both movies already. But clearly something is wrong.. New Mutants was supposed to have come out already, and instead is now being pushed back over a year. The reasons for all of this sure don’t inspire confidence. It probably starts with Disney and Marvel buying Fox. Disney owns Marvel, and with the acquisition of Fox, Disney now owns all X-Men and Fantastic Four properties. But that deal isn’t done yet, and won’t be finalized until about a year from now. The ramifications of it are not being felt just yet. So the deal probably has little to do with what’s going on with these X-Men movies, other than that now since they are Marvel properties, everyone wants to make sure they are especially good. The closest we have to reactions to the Marvel-Fox merger deal right now, are that Marvel has started making Fantastic Four comics again. A few years back, when Marvel and Fox were having disputes, (back when the character Quicksilver was appearing in both X-Men Days of Future Past and also Avengers: Age of Ultron,) Marvel decided to enact revenge on Fox by cancelling all Fantastic Four comics (giving no comic book publicity to the characters that would be appearing in the Fox films.) Well, now that Fantastic Four will be returning to the Marvel, the comics have started back up again. But that still doesn’t explain the X-Men movie situation. 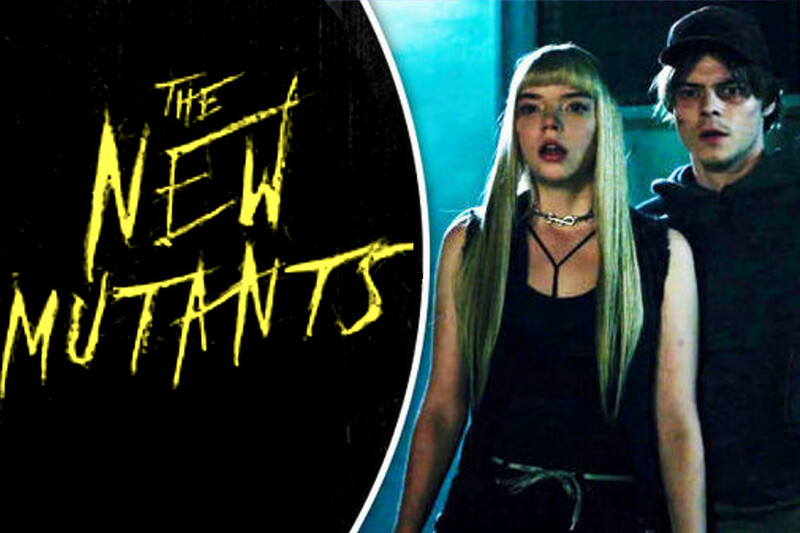 The truth is that there have been screenings of both films, New Mutants and Dark Phoenix, and the feedback has not been good. Consider that New Mutants has been directed by the man who directed The Fault in Our Stars, a teenage drama about a girl with Cancer and the romance she finds herself involved in. And New Mutants is being presented as a horror movie. Just watch the trailer and you’ll see there are no references to X-Men, and this doesn’t even look like its in the same universe. So something’s not right, and the good news is, they’re going to try and fix it. The same goes for X-Men Dark Phoenix. While we know even less about what might be wrong with that movie, what we do know is that the film has been made by first time director Simon Kinberg. This is the guy who has written nearly every X-Men movie, both the good and the bad. He’s responsible for some great ones, but he’s also responsible for some stinkers, including X-Men: The Last Stand, (AKA the other movie that tackled the Jean Grey Phoenix storyline.) 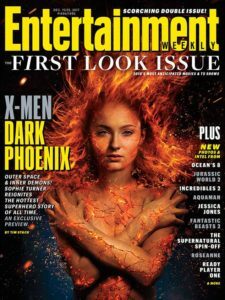 The current X-Men movie that Kinberg has directed takes on that same storyline and is called X-Men Dark Phoenix. Despite what you might think of Kinberg’s writing (he also wrote the terrible Josh Trank Fantastic Four movie,) the fact still remains that he is a first time director. Sure he’s been around this material and been on movie sets quite a lot, but he’s never directed a movie before. The last time that happened, we got Alex Kurtzman directing the Mummy with Tom Cruise. And we all know how that turned out. Like Kinberg, Kurtzman was the screenwriter of some big budget major studio movies. He wrote all of the Star Trek movies for director JJ Abrahams. And at one point, the studio was thinking about letting Kurtzman direct their third Star Trek movie (what later became Star Trek: Beyond.) Only the studio widened up, just in the nick of time, and realized that Kurtzman had never directed before and that a big budget movie probably wasn’t the best place for him to start. Unfortunately Fox did not realize that with Simon Kinberg, and it would appear that we are now experiencing the results. Hopefully the reshoots and new time frame for the release date mean that the studio is working hard to get this movie right. Listening to feedback is a good way to go. The X-Men movies haven’t been great in a while (Apocalypse was lousy and Days of Future Past was just okay,) and it’s doubtful that a movie directed by Kinberg will be one of the better ones, (after all, even Brett Ratner had directed other movies and proven himself a little before he made X-Men The Last Stand,) but you never know, and certainly have to hope for the best. The good news is that they are taking the time to work on the movie and make it better. Hopefully they are able to make the right changes and get this thing up to the level quality that it really should reach.